The Titan comes with Lennar’s Everything’s Included package that includes many upgrades like granite countertops, GE® kitchen appliances, raised-panel cabinetry with crown molding, home automation and much more! 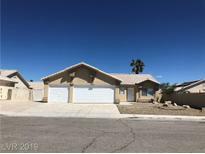 MLS#2090419. Lennar Sales Corp.
Bruce & Hammer - The solar system is leased with Tesla. MLS#2089872. Keller Williams Realty Las Vegas. Enjoy a large yard with covered patio and buyer may still select flooring! MLS#2090453. Realty ONE Group, Inc.
Windemere - Features To Include: Freshly Painted Two Tone Paint, All New Exterior Paint, New Flooring Throughout, Separate Family Rooms, 2 Way Fireplace, Kitchen W/New Granite Countertops, Built In Microwave, New Fixtures, New Faucets, New Doors, Nice Sized Bedrooms And Closet Spaces, New Garage Door, Rv Parking, Large Desert Landscaped Backyard, Inground Pool With Covered Patio And Deck. MLS#2090563. Brazill Team Real Estate. Nice backyard with a covered patio. MLS#2090221. BHHS Nevada Properties. Don’t miss out, Make an offer today! ! MLS#2090467. 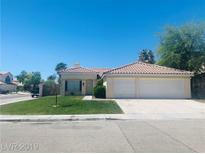 Compass Realty & Management, L.
Eldorado - Brand New Carpet Thru Out. Large Corner Lot. MLS#2089512. South Bay Realty. Runvee Hobart - Upgraded features include fresh interior paint. MLS#2090121. Opendoor Brokerage LLC. The Master Bedroom Is Awesome With Large Walk-in Closet! MLS#2088751. RE/MAX Excellence. Backyard completed w/desert landscaping, portion of turf & artificial grass. MLS#2090200. GK Properties. 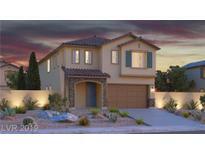 Eldorado - Leased Solar Panels WALKING DISTANCE FROM COMMUNITY PARK MLS#2090261. Vegas One Realty. Donna Deer Springs - Freshly painted exterior! All you could want! MLS#2090083. Heidel Realty. Mature, low maintenance landscaping in front and back. Low HOA. Don't MISS! MLS#2090008. Offerpad. Casa Linda - Room will be cleared at COE. MLS#2090287. Executive Realty Services. Casa Linda - Come take a look and make an offer as this one will not last! MLS#2090255. Keller Williams Market Place. La Quinta Springs - Backyard has a patio with a patio cover. 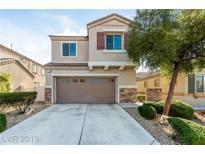 MLS#2090401. Premier Real Estate. 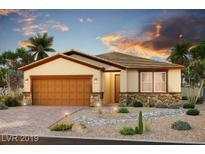 Diamante East - Tile throughout the home except 2 bedrooms, Double Sinks in master bath, granite counter tops in Kitchen. MLS#2090118. United Realty Group. Sunflower - 6 bedroom 4 full bath home plus pool and 224sq ft casita.large family room and breakfast nook that opens to covered patio and barbeque all kitchen appliances included with sale of this property.home includescarpet tile and wood flooring.the square foot of this home is3168.this home is situatedin a very nice area. MLS#2087637. DeVille Realty Group. 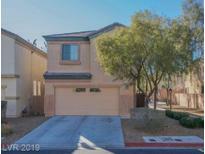 Silver Ridge - Just listed Beautiful 3 bedroom 2 full bathrooms with a beautiful backyard!!!!!!! ! 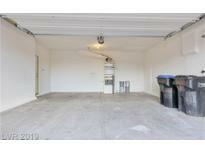 MLS#2090707. ERA Realty.